You can live more joyfully and improve your quality of life by freeing your daily lifestyle of unnecessary clutter. Is your life filled with clutter? Imagine yourself in a charming rowboat on a peaceful lake. A few items within your rowboat help to make the trip more comfortable. You can glide effortlessly and happily from place to place, feeling the soft breeze in your hair. But if you add too many items, the boat gets slow and heavy – and starts to take on water. Gradually, you start to sink. Do you experience moments of flow each day, in which you are so deeply present and gratified that you almost lose track of time? Our culture is more sedentary than we ever imagined it would be. Because of desks, computers, cars, and smartphones, we are hunched and immobile for more hours in a day than is optimally healthy. Though our bodies are inactive, our minds are racing – overstimulated with images and digital information. Our brains have become relentless chatterboxes. Our external environments often match the clutter we experience on the inside. A combination of under-active bodies and overactive minds has created a desire within many of us to modify the habitual ways in which we live, in order to improve our daily quality of life. We seek serenity and stamina. 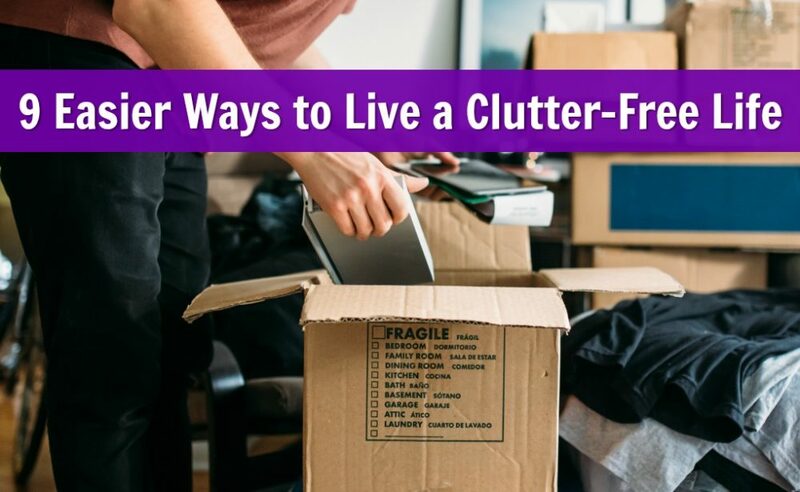 What follows are 9 easier ways to live a clutter-free lifestyle. When you possess perfect health, you are perfect potential. Almost anything is possible. Why channel your limited mental attention and physical energy into people or possessions who provide a low return on your valuable investment? Your time would be better spent focusing on improving your own health. Great health gives you a worthwhile return on your investment (R.O.I.). Strangely, most Americans think of themselves as healthier than they actually are. We’re just funny that way. Stellar health is a journey. At all times, we can be happily experimenting with new ways to help ourselves feel and perform even better. Too many possessions serve as distractions from the aspects of life that matter more to you. 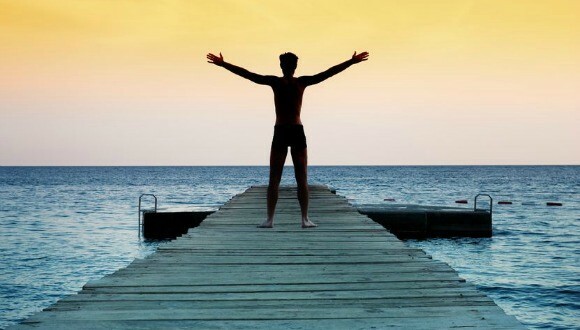 Instead of acquiring clutter, you can celebrate your prosperity by investing in yourself. Get a massage, see a fitness trainer or take a class. Enrich yourself more with internal experiences and less with material objects. The universe has an uncanny way of matching you with the thoughts and beliefs that you habitually use. 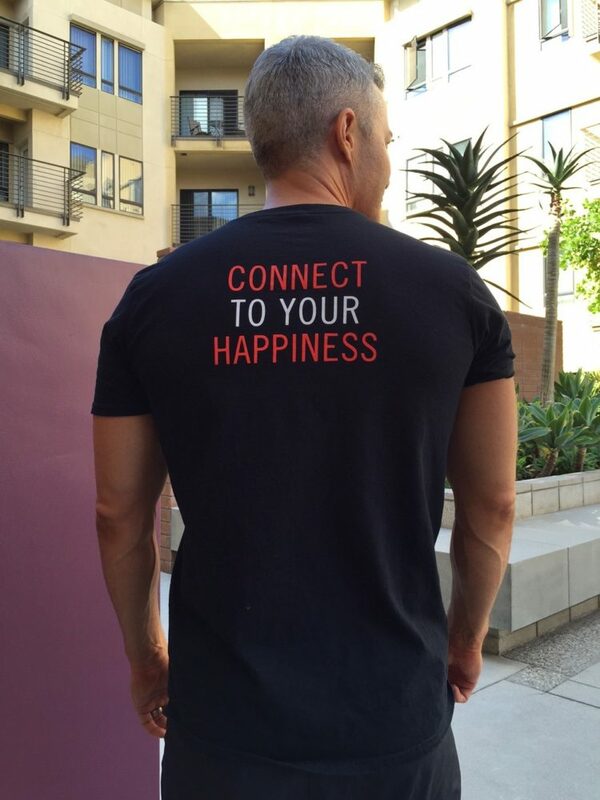 Heart on sleeve: health writer Dane Findley – nearing his 50th birthday – wears one of his favorite t-shirts. Whatever you give time, attention, and focus to, you will manifest more of. Negative thoughts will, over time, create negative experiences. Observe your thoughts, feelings and words objectively, and challenge yourself to improve their quality. Make a game of it. Pretend that there is an infinite field of energy – intelligent, creative, compassionate and playful – that matches your positive thoughts by sending you positive experiences. How do you experience your daily quality of life currently? 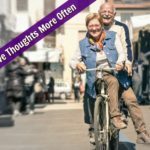 More than gender or level-of-education, what readers of this website seem to have in common is that they’re becoming interested in what daily changes they might make to help create a lifestyle flowing with joy and robust health. What each of us is really after is an improvement in the overall quality of life: we want to feel great, look great, and be happier. And we’re smart enough to know that we need to take a reasoned, holistic approach in order to get there. In order to create extra time for self-care protocols that will allow you to live a healthier and more joyful life, you will need to simplify some aspects of your everyday living experience. Our lives are filled with clutter, and those possessions require attention. Have you ever really considered how much time and energy you put into your possessions? Most of have too many belongings and, even so, we still probably have a list of additional items that we’d like to own. When you acquire a possession – no matter its size – you’re not just investing money in a new item, you’re starting a new relationship with an object that you’re going to be sharing your life with. External material items can become a distraction from our internal serenity. Purchasing, storing and maintaining material objects requires your attention – maybe too much of your attention. 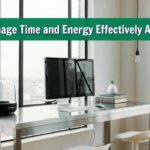 Fortunately, there are tools and techniques to help us stay productive in a clutter-filled world. Often, however, it’s easiest just to keep draining things from entering your home in the first place. A lighter load means a calmer mind. My British friend Sean moved to California last year. He decided it would be best if he cut his belongings down – to fit within the airline’s allowance of two pieces of luggage. 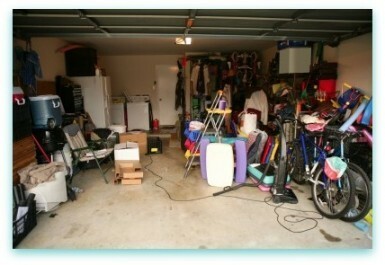 Garages are notorious for becoming clutter-filled. He gave away furniture, sold off his DVD collection, and donated books and clothes to charity. More expensive items went on eBay (and, he reports, sold for far more than originally expected). He told me that dropping off his old belongings felt really good – not just because it would raise funds for charity but because it meant the items would find a new home where they could be appreciated more. Each time he got rid of something he felt physically lighter. He was proud of himself and now regularly preaches his new almost-possession-free lifestyle to anyone that will listen. You don’t have to move countries to cut down on your stuff. Of course, it’s hardly practical to cut your possessions down to two suitcases, but a lighter load will free up time, space and energy. I am now wary when purchasing new items. I also have more frequent charity donating-purges. De-cluttering can sometimes be a brutal experience, especially if you have an emotional attachment to some of your things. Well, actually, the brutal part of de-cluttering is thinking about it beforehand with dread and procrastination. Once you actually get started with the de-cluttering process, it starts to feel better quickly. Remind yourself that by clearing your home and office of unwanted things you’re making room for increased success. When you’re doing a clear-out, there is but one question: “Is this item useful or beautiful?” If not, then it goes. If you have a treasured collection of memorabilia – is it displayed proudly in your home, or is it stored away in boxes? How can it bring you joy if it’s stored out of sight? Mementos can be hard to purge. Tell a loved-one the story behind your knickknack before getting rid of it. It’s almost like the memory has been released from the item. Do your material possessions enhance your lifestyle, or drain your energy? You can design a clutter-free lifestyle that is inspired by quality (rather than quantity). One of the differences between your home, and the items that you store inside your home is that the home itself can appreciate in value, while the possessions inside the home will generally depreciate. This is in an important distinction. What we choose to possess in life weaves itself into the very fabric of our lifestyle. There’s a lot of responsibility that comes with having “things” in this world. You can clean the clutter from your life. I am noticing that more people are taking a design inventory of their lives. They’re reassessing all they possess, and giving thought to the relief of a “lighter load” that owning fewer things might afford. They want a new design for their lives. You can rid your life of clutter. You can make a conscious decision to slow the tide of new items entering your home (there’s no point in cleaning out your garage if you’re just going to fill it back up with new stuff). After the age of 50, many people yearn for the return of a time when there were fewer possessions to keep up with, and less mental bandwidth required to try to remember all the items that they own. I’ve had many clients who discussed with me their desire to move to a smaller, more easily manageable and size-appropriate space for their needs. Not all of them have wanted to do so to lessen their financial responsibilities. They also realize the possibility that there is an energetic cost to excess. This is probably one of the reasons that my partner and I specialize in helping others find lifestyle properties. The big idea with a “lifestyle property” is that it adds a dimension of value to a home because it improves the owner’s quality of life (instead of diminishing it). You could live in a studio apartment with a bike on your wall in a pedestrian-friendly historic downtown district. Or you could live in a large beachfront estate in Malibu with room for all of your grandkids to visit. These are obviously very different sizes and costs. Nevertheless, both of these are lifestyle properties because they add value. You can design your life to be about experiences, rather than materials. That’s what lifestyle properties emphasize. A life lived simply is a life lived in serenity. If you love the Pacific Ocean, then living in a home directly on the beach is going to give you a daily joy that offsets the increased responsibility. If you hate to drive, then the pedestrian-friendly historic downtown is going to bring you bliss. Living simply is not just about shedding material possessions, it’s also about surrounding yourself with people who elevate your daily life and your overall energy level. Look, people are basically good, but that doesn’t mean you need to make time for absolutely every person you meet. You can like someone, you can even love someone, yet still identify them as a person who ultimately drains your energy. The key to how to live simply is found in learning to set healthy boundaries. You must learn how to say “no” politely, yet potently (people who have less energy are often drawn to people who have more of it). Well-meaning people are going to want to make demands of – what they see as – your “surplus” energy. Be firm! What if the best year of your life hasn’t happened yet? if you go more than 4 months without opening one of my email messages, you will automatically be unsubscribed. Just as you must make an effort to keep clutter from finding its way back into your home, you must also set aside room in your schedule for self-care and “me” time. You can even make a standing appointment in your calendar that says “do nothing” and not let anyone mess with it. In a very real way, it’s your most-important appointment. What has been your experience in recent years – does your life seem simpler, or more harried? 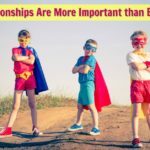 There is likely one particular friend you have who would find this article inspiring or helpful. Consider sharing this article. Have you or your friends and family recently considered how clutter might be impacting your daily quality of life in unseen ways? I'm Dane Findley and I am a wellness coach. I help creative-types over the age of 50 achieve next-level health – so that they can look and feel better than they ever have before. During my off-hours, I read sword & sorcery novels and prepare simple paleo meals. If you enjoyed this, why not try one of these? • Everything good in your life starts with awareness. • The way to upgrade your lifestyle permanently is to first upgrade your intentions. • The key to thriving in the second half of your life is to establish new priorities.